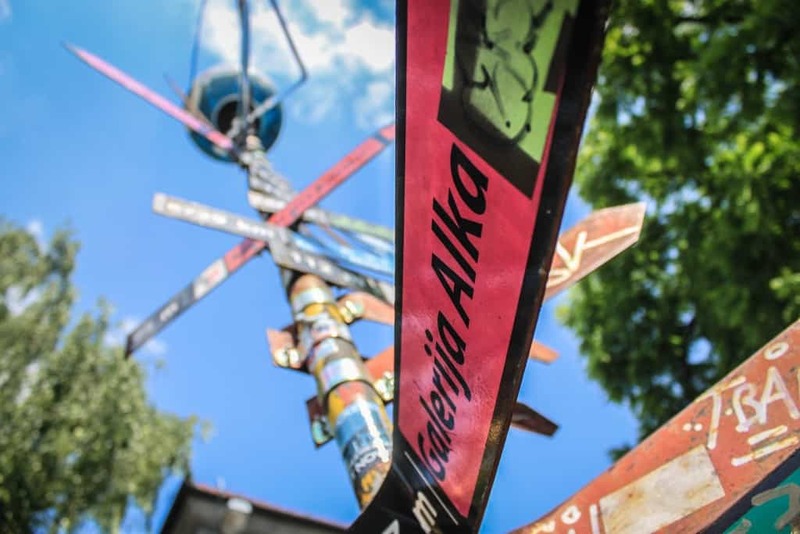 Metelkova is an autonomous culture zone. A former military barracks. 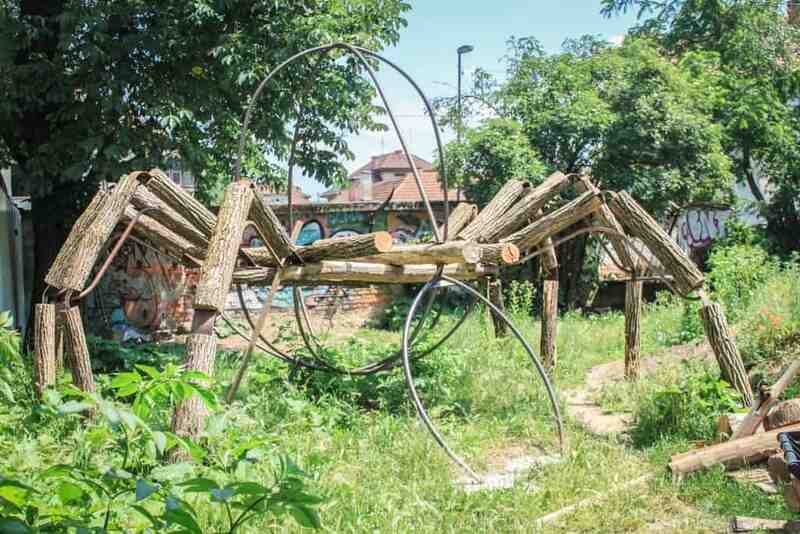 A town within the city, just a few minutes walk from Ljubljana’s city center. 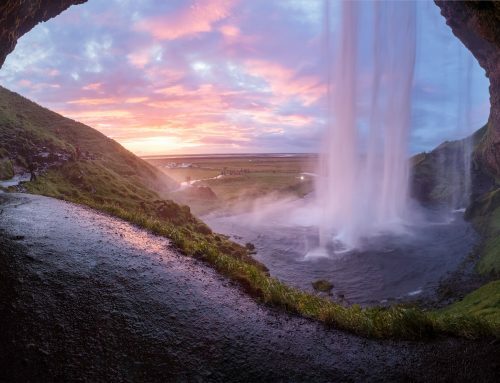 When I first saw photos of it, I didn’t find it inviting AT ALL. And it still isn’t. Well, because that’s also what makes it charming. 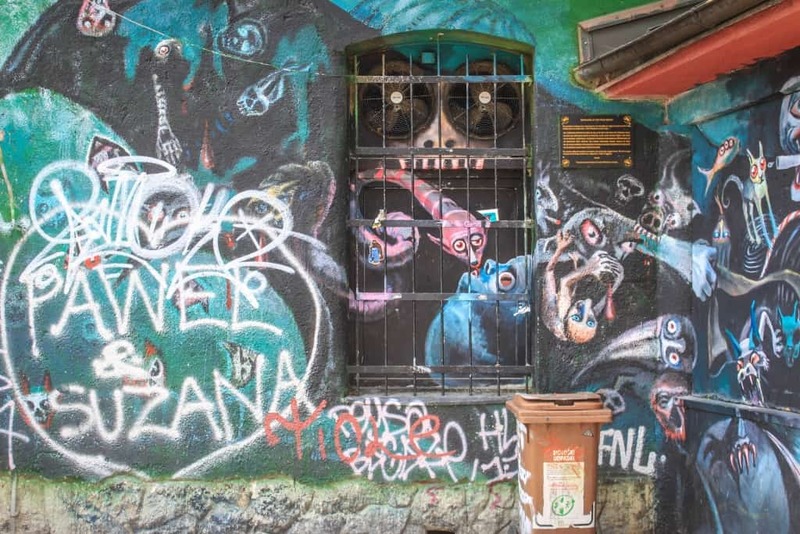 Metelkova is not your typical neighborhood. 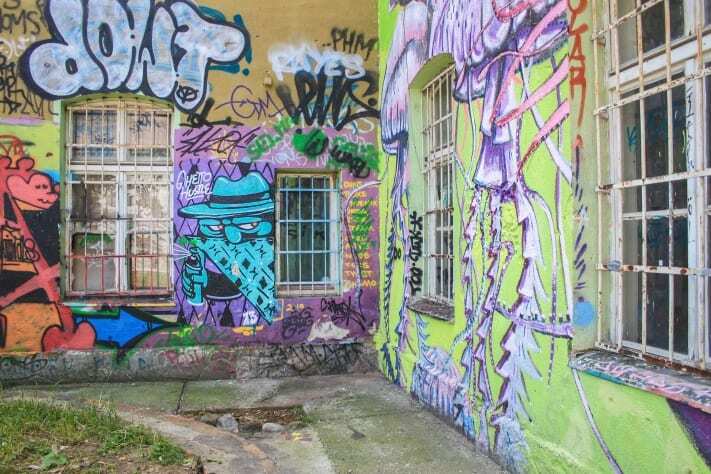 It has its own vibe, walls covered by urban street art and bizarre buildings with barred windows. It’s weird, but in a good-way weird. It’s a place for everyone. 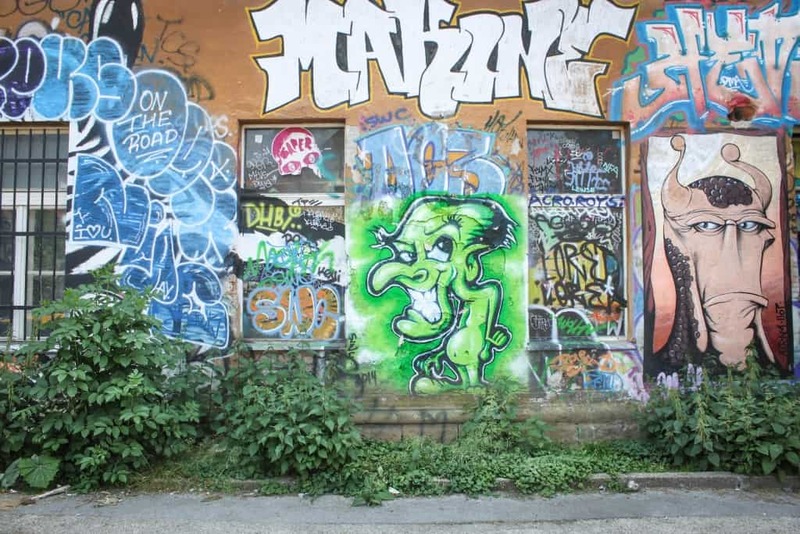 It’s where artists, designers, punks, hippies, squatters and students hang out together. The creative ambience sets a relaxed atmosphere where no one cares what you look like or where you’re from. When I visited during the day, it was quiet but visually spellbinding. 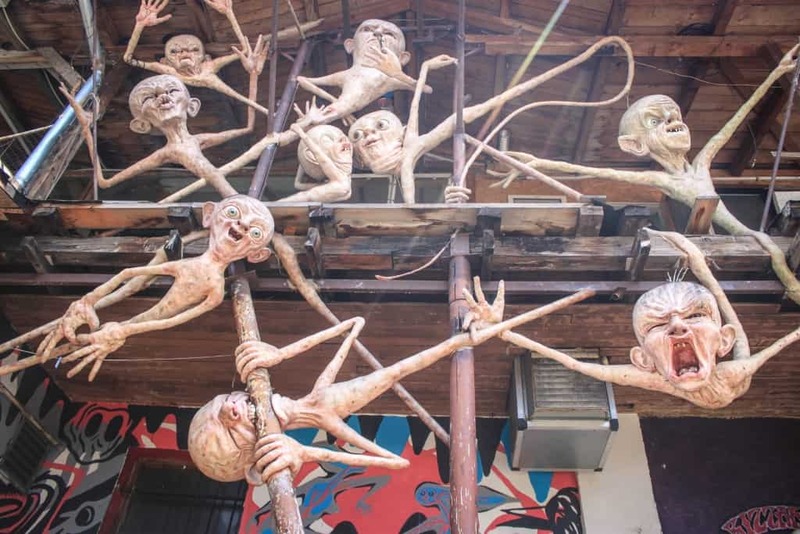 Kooky Gollum-looking creatures hanging from the buildings. 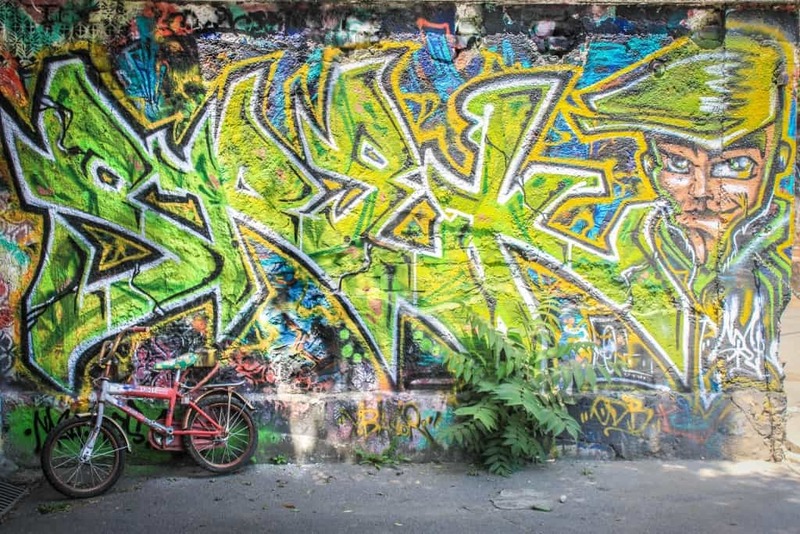 Colorful graffiti on the walls, the streets, the ceilings, even on the trash cans. 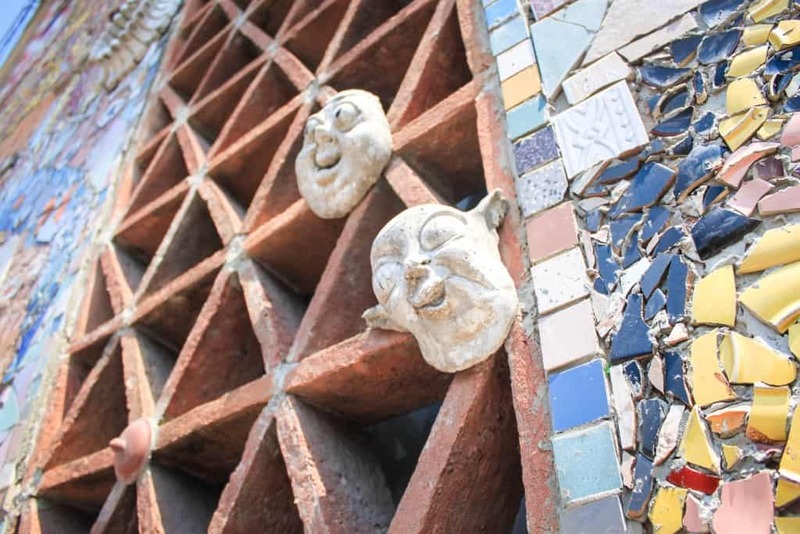 Art installations of bike parts, vivid masks, prison windows, bright-colored mosaic tiles, a spider sculpture made out of trees. 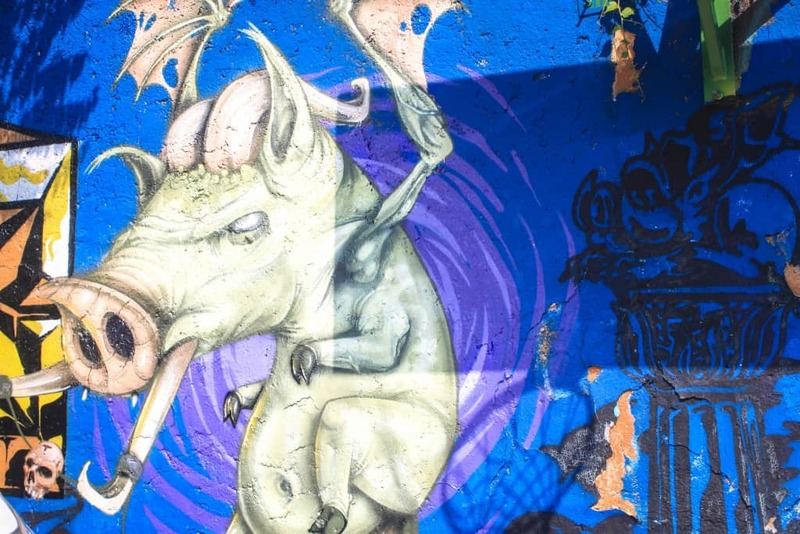 Some of it was shocking while others resembled prestigious pieces of contemporary art. 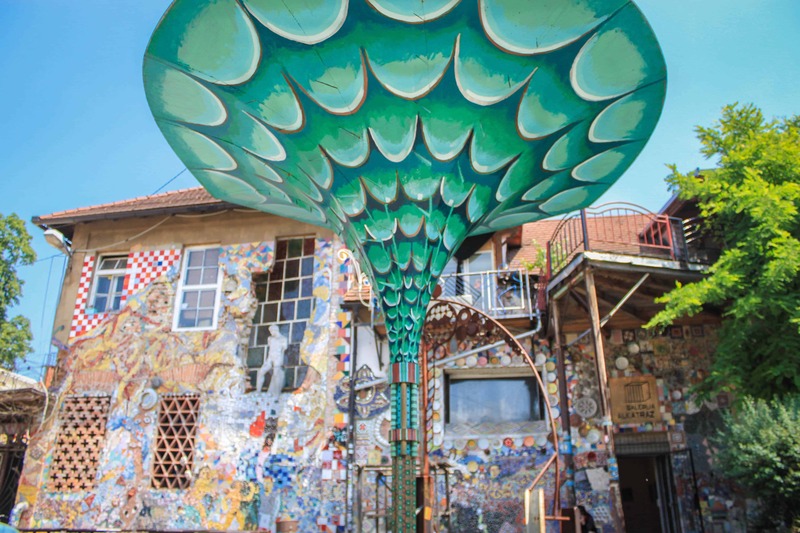 When the sun went down, Metelkova really came to live. It has the city’s best nightlife not to mention cheapest beer. All in all, it’s the perfect place for any alternative culture loving traveler, but not for romantic nights and family trips. I felt it was a safe place to visit, even after dark, and I will definitely visit again when I return to Slovenia. 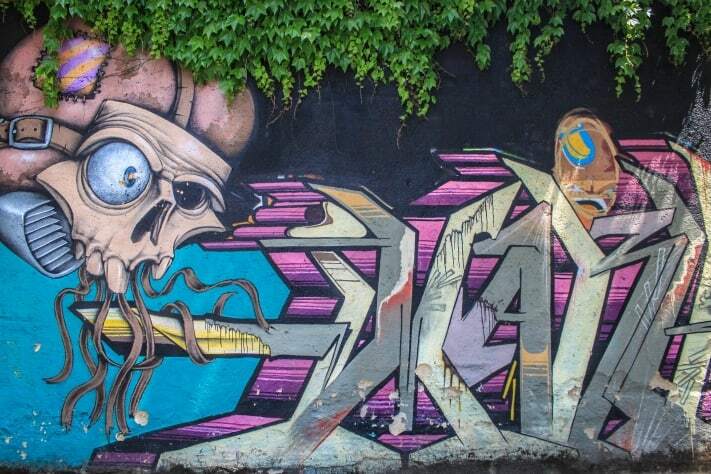 Where’s the funkiest place you’ve been? and that rodent from Ice Age. On crack. 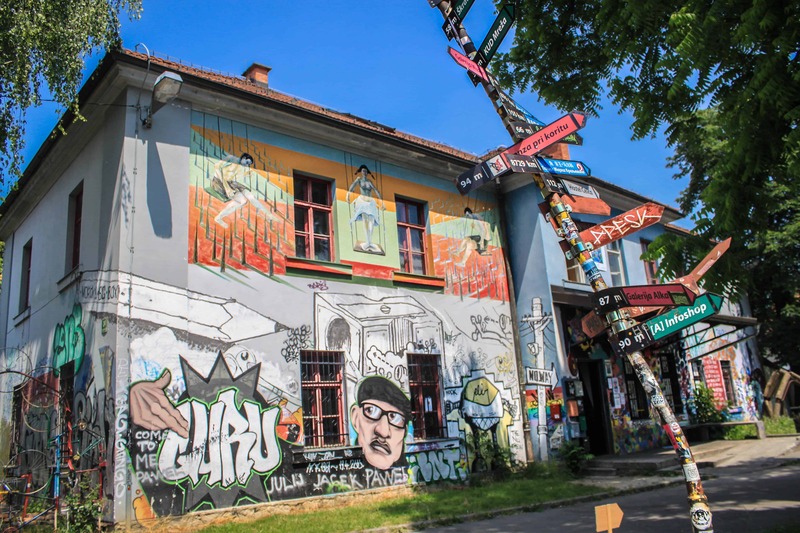 Metelkova has a hostel, which is arguably the coolest accommodation in town. 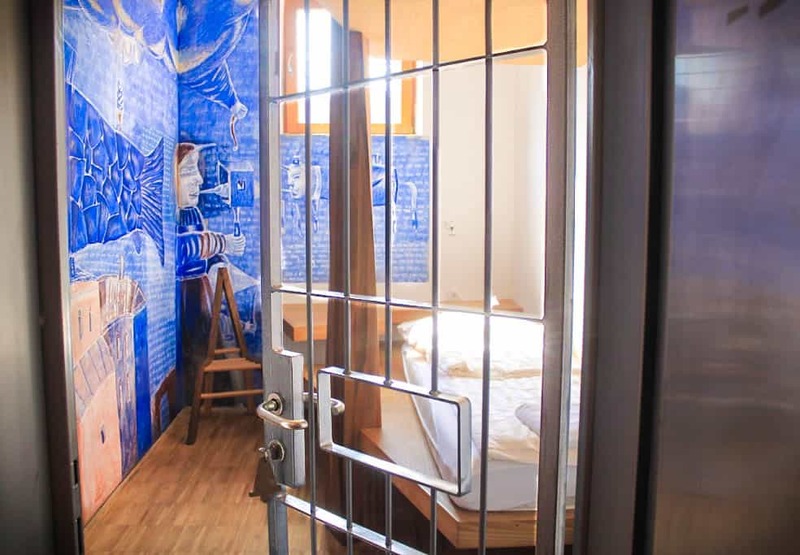 It’s called Celica Hostel and used to be a prison, but today it’s re-designed into hostel rooms with bars at the doors intact. If you fancy spending a night behind bars, this is the most comfortable cell you’ll find. 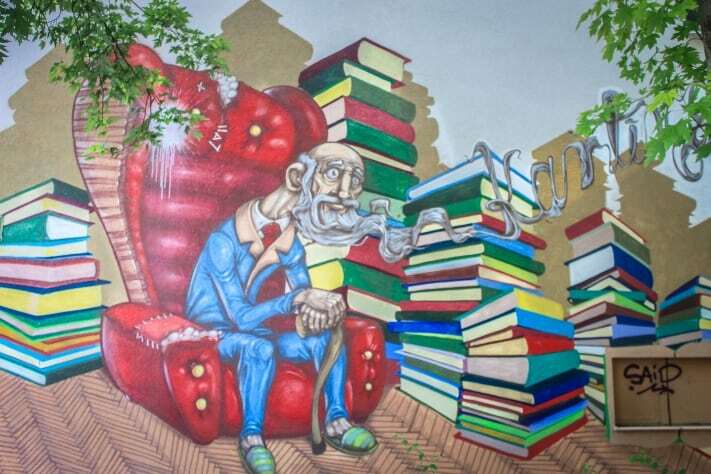 Many thanks to Celica Hostel for generously hosting me in Ljubljana. As always, all opinions and thoughts are my own, regardless of who is footing the bill. Ahh you’re making me want to go back to Slovenia SO badly! 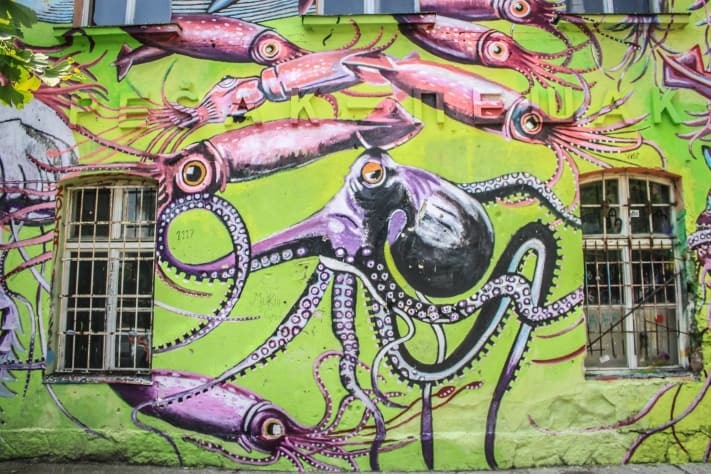 You took some seriously lovely photos of the street art, and Celica Hostel looks really cool! Thanks, Silvia! 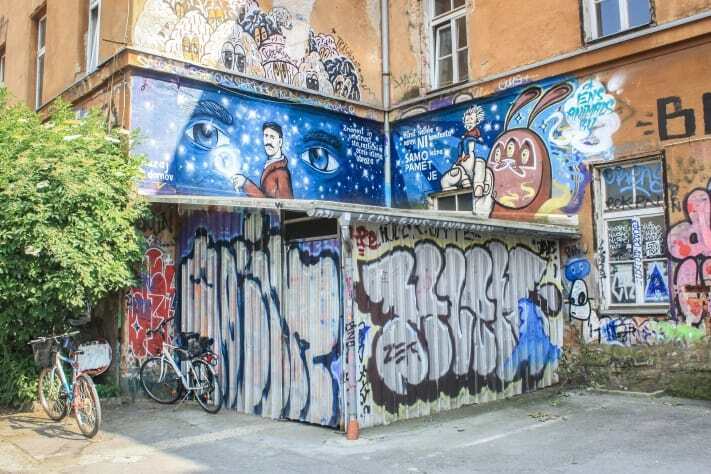 I absolutely love this part of Ljubljana, and it’s so similar to Freetown Christiania in Denmark. 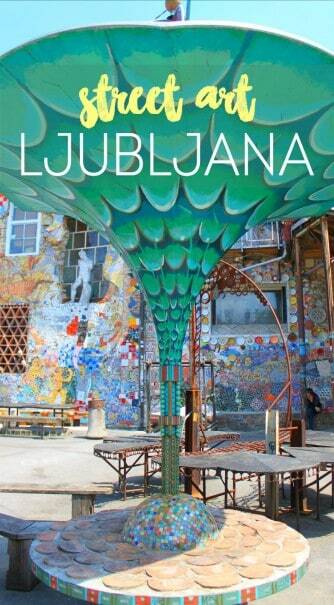 I’d really love to return at some point and perhaps spend more time exploring Ljubljana and its alternative side. I knew you guys would like it 🙂 Next time you should visit after dark, too. It changes completely. 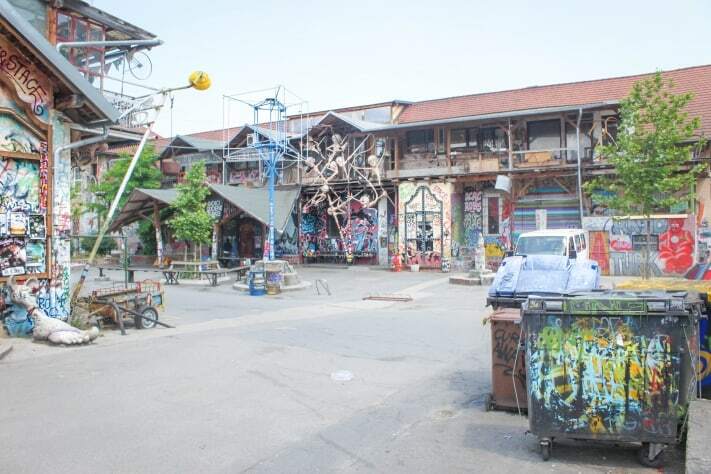 Love Metelkova but I do recommend only visiting during daylight haha. 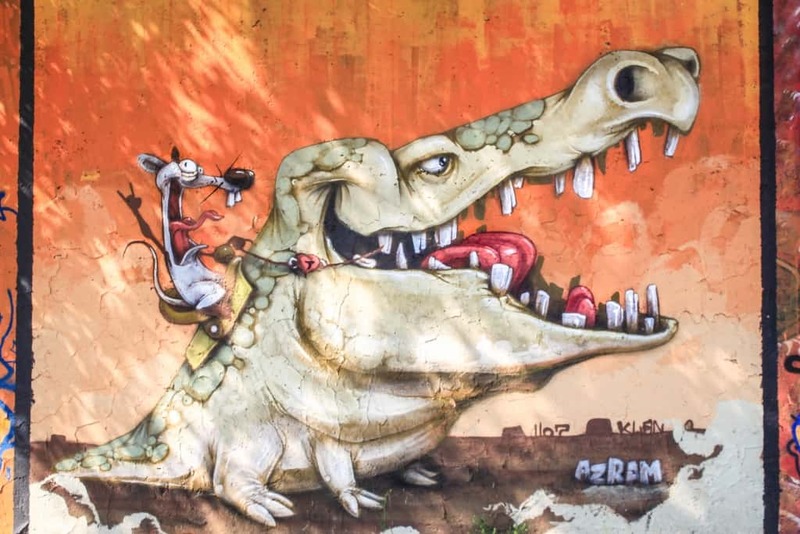 I mean it is fun and quirky for a while at least, the street art is amazing though! It does get a little dodgy after dark, doesn’t it 😉 It’s a cool place for a few drinks and the experience, but it’s probably not a place I’d hang out night after night. 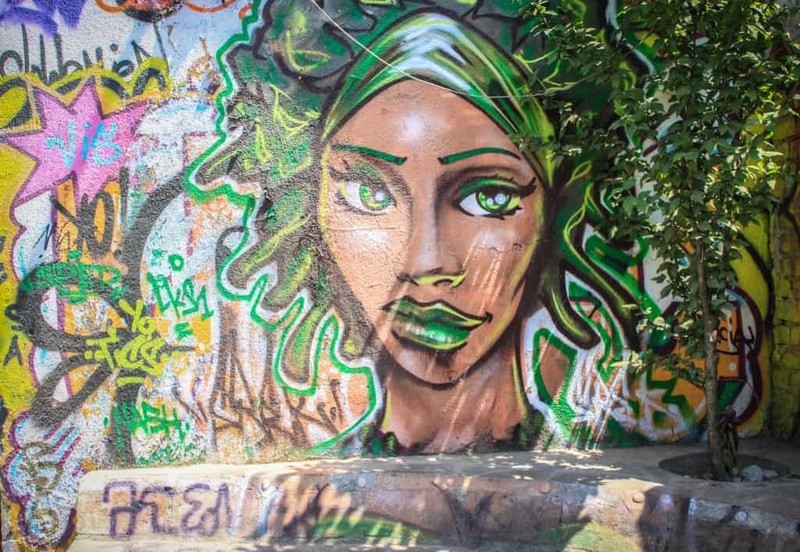 The street art + the hostel: I’m sold! 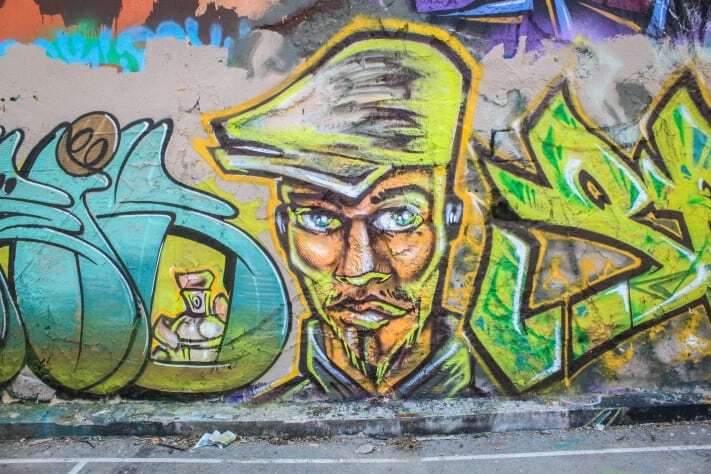 I love the look of modern street art when it’s done well like this. My favorite one, and probably the creepiest one, is the one with the creatures that look like Gollum. Are those ones actually just statues? They are 🙂 They were kind of creepy, but also cute & funny. 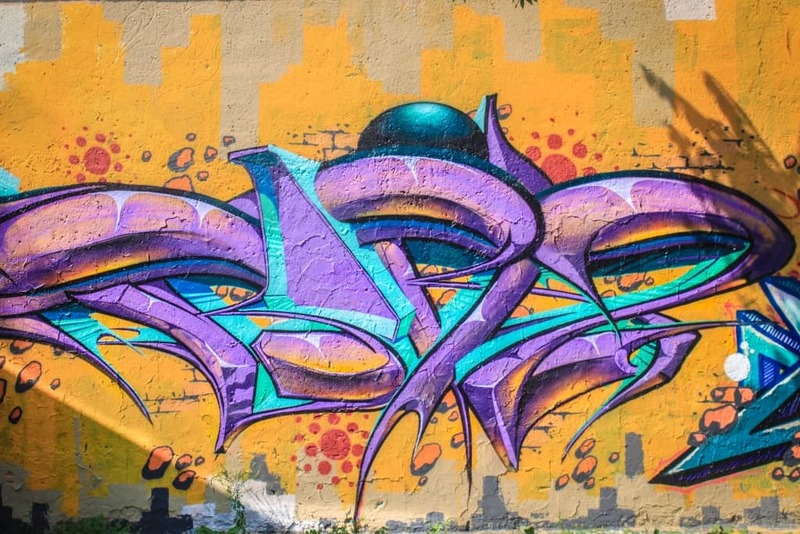 I’m not really into graffiti, but like you said – when it’s done well like this, it’s super cool. Best place for a night out with friends. 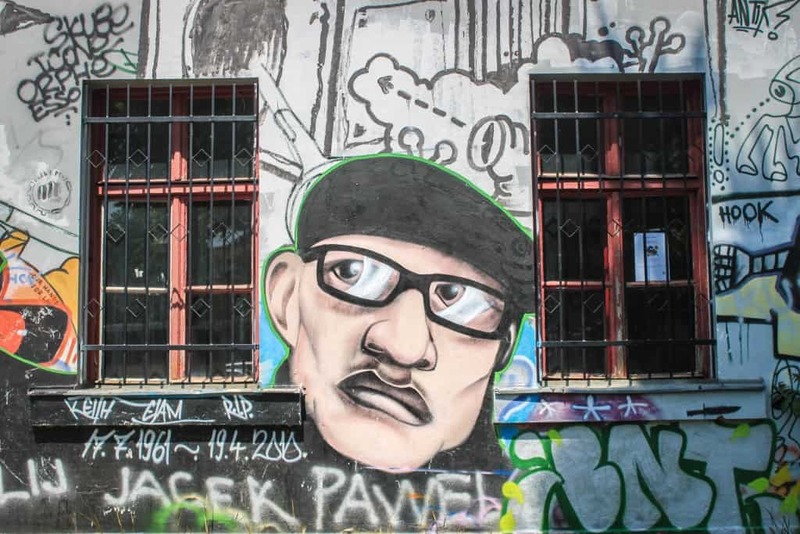 Also my favorite concert venue, the clubs in Metelkova host the biggest and the most popular bands, musicians, artists… in the world in an intimate and friendly atmosphere. I’ve met some of them there… drank a beer together at the bar… we even managed to delay the start of the show, not yust once, because we took a member of the band on a tour of the city . P.S. 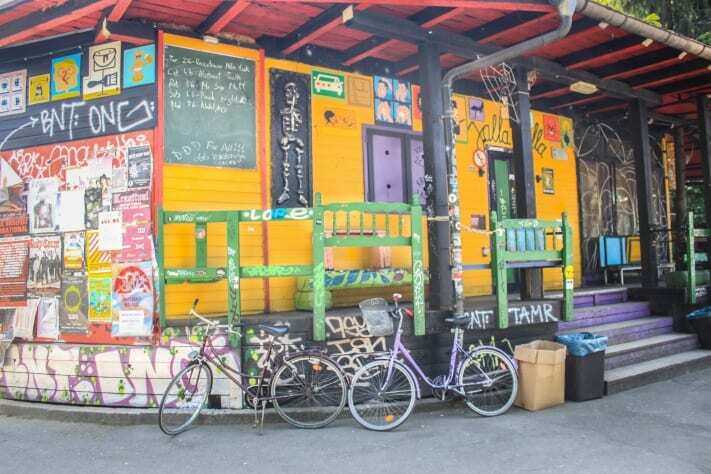 Celica art hostel was actually woted as the no.1 hostel in the world several times. I’ll have to come back for the nightlife! I stayed at Celica which was a super special experience. Have you spent the night there?